Zanzibar SCUBA Diving Yacht Charters. Day Trips or Live Aboard Safaris. ZANZIBAR SCUBA DIVING DAY TRIPS & LIVE ABOARD CHARTERS! Join us on our spectacular Day Trip to the Mnemba Island Atoll! Enjoy Zanzibar Scuba Diving on some of the best reefs the island has to offer! Zanzibar Scuba Diving is an “Add On” to our fantastic Full Day Charter to the Mnemba Island Atoll. Contact us for more info and we will do our best to cater for your day trip and Scuba Diving requirements! Furthermore we offer you our fantastic extended Live Aboard Dive Safaris to Pemba Island! This is the ultimate way of enjoying the sensational diving that these Indian Ocean Islands have to offer! Gearing up for a dive at Mnemba Island! 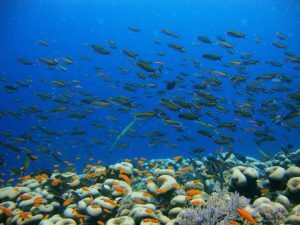 Abundant Corals & Reef Fish! Board our yacht in Nungwi on the north coast of Zanzibar Island and sail with us to the stunningly beautiful Mnemba Island Atoll. Enjoy the sun, the warm Indian Ocean waters and the dolphins surfing our bow wave! Or just lie back, relax and enjoy a luxurious trip onboard our yacht to the Mnemba Island Atoll. Typically here the visibility is 10m – 30m….mostly crystal clear! Besides the beautiful reefs there is also a good chance to see Green Turtles and Dolphins. Upon arrival we will get our divers prepped, briefed and ready for their first dive. Generally our first dive at Mnemba Island is on a dive site called Kichwani Wall. 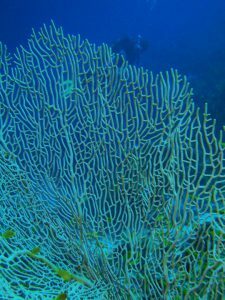 This site is a wall dive, dropping from 2m – 30m and is perfect for beginner and advanced divers as well as for snorkelers. Home to a huge variety of schooling fish and stunning corals, keep your eyes in the blue for a chance to see Napoleons, Trevalleys and White Tip Reef Sharks. Once you are back on the yacht, its time for some more rest and relaxation before your second dive. Enjoy an ice cold beverage and some fruit and snacks. All while taking in the scenery and stunning beauty of the Atoll. Go for a swim or a quick snorkel or just take it easy on the comfortable trampolines before prepping for your second dive. 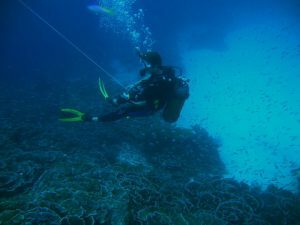 Usually our second dive will be on a dive site called Wattabomi. One of Mnemba’s best dives, Wattabomi is a dive site with a sandy bottom sloping down gently from 6m – 30m. 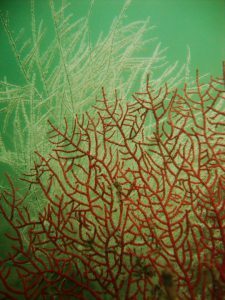 It too is perfect for beginner as well as experienced divers. The current can be strong sometimes but we will time our dives for an easy drift. 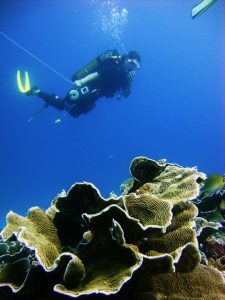 See huge coral bommies and spectacular plate corals. this site is also home to thousands of colourful Reef Fish, Rays, Trevalleys, Turtles and White Tip Reef Sharks. Our Ultimate Dive Vacations treat you and yours to a diving getaway aboard your very own crewed yacht in the exotic islands of Pemba and Zanzibar. 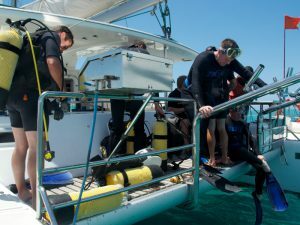 Complete with your own captain, chef and Dive Master, this experience lets you enjoy the best of both worlds. An all-inclusive charter experience with the opportunity to explore some of Pemba and Zanzibar Island’s most beautiful dive sites. Let us know what your Ultimate Scuba Diving requirements are. We will prepare a tailor made Itinerary for you and your dive party! In general, our live aboard dive charters are anything from 5 – 10 days long and include some of the best dive sites Zanzibar and Pemba have to offer. Spectacular walls and crystal clear water! 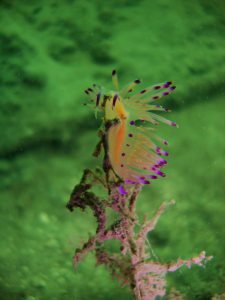 The diving in Pemba caters mostly for Advanced Divers but there are of course some fantastic dive sites for Open Water Divers. Non divers are also able to join in the fun and don their snorkelling gear so as to enjoy the beauty of the underwater world in Pemba. We depart Nungwi and sail directly up to the north east coast of Pemba Island. From here we will dive all the sites along the west coast of Pemba. From the picturesque lagoon of Njao Gap, down to Fundu Gap and Manta Point, then further south to Uvinje Gap and Mesali Island. If time allows we will also go down to the south east corner of Pemba Island to Emerald Reef and Ras Upembe. 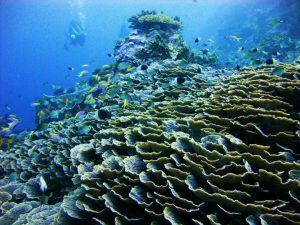 Let us prepare your Tailor Made Live Aboard Scuba Diving Itinerary to Pemba Island!